Hot on the heels of Norwegian Icons at 100% Norway, the crusaders of Norway’s design heritage are back in town with Icons of Norway at Skandium. Katie Treggiden finds out what’s new. Following the exhibition they co-curated at the London Design Festival in September, Flugen’s Einar Kleppe Holthe, Peppe Trulsen and Arvild Bruun return to the UK with an exhibition of objects designed and made in Norway, from mid-century masterpieces to future classics – and this time they’re all for sale. “It’s amazing that we can introduce products to market just a few months after they were exposed as prototypes at 100% Norway,” says Kleppe Holthe. Bottoms Up, by Ingrid Aspen. Photo: Siren Lauvdal. Unlike its neighbouring countries, Norway’s mid-century design boom was interrupted by the discovery of oil in the 1960s, meaning that designers who should be household names remain relatively unknown. “Arne Korsmo and Grete Prytz Kittelsen were the Charles and Ray Eames of Norway,” says Englund. Alongside Scandia, Krobo, a multipurpose bench designed by one of Norway’s most productive post-war designers, Torbjørn Afdal, in 1960, will be shown with contemporary accessories by Norwegian design studio Anderssen & Voll. And also in the exhibition is Oval – a bucket-shaped vessel, designed by Einar Barnes in 1968, which has been re-issued by Utopia Workshop, an offshoot of design gallery Utopia Retro Modern. But it’s not just about historical pieces. 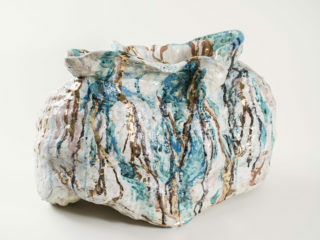 Showing that Norwegian design is still thriving today, the other objects in the show are all by contemporary designers. 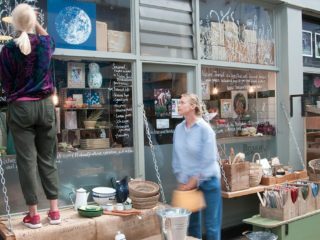 “It’s so cool that people will have the chance to buy limited craft productions of products like Bottoms Up, Fauna, Hegne and August,” says Kleppe Holthe. Fauna, by Hallgeir & Hege Homstvedt. Photo: Siren Lauvdal. 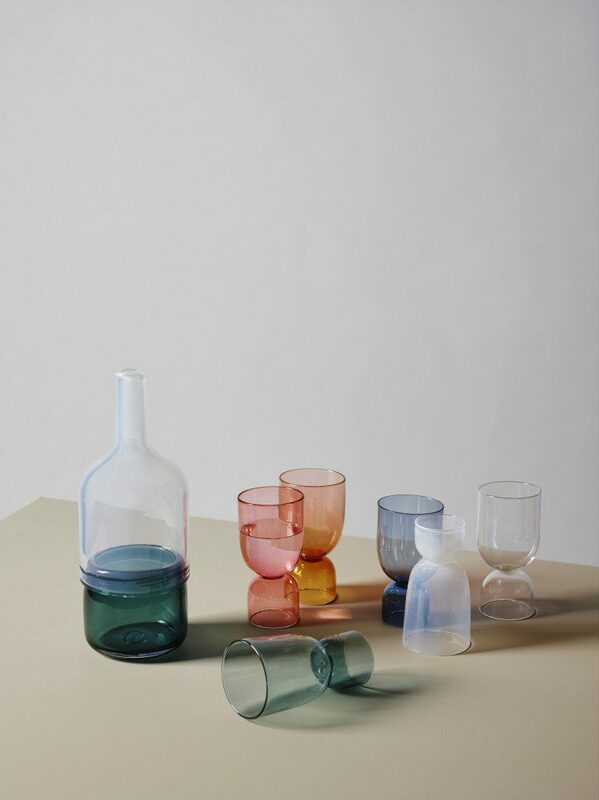 Bottoms Up, a collection of stackable glasses by Ingrid Aspen, fuses the designer’s Norwegian heritage with her experiences in Italy. “In both countries, it’s traditional to have a stronger drink at the end of a meal,” she says. Turned upside down, the stem of each glass becomes the perfect vessel for a nightcap. Fauna is a collection of bookends by siblings Hallgeir and Hege Homstvedt. 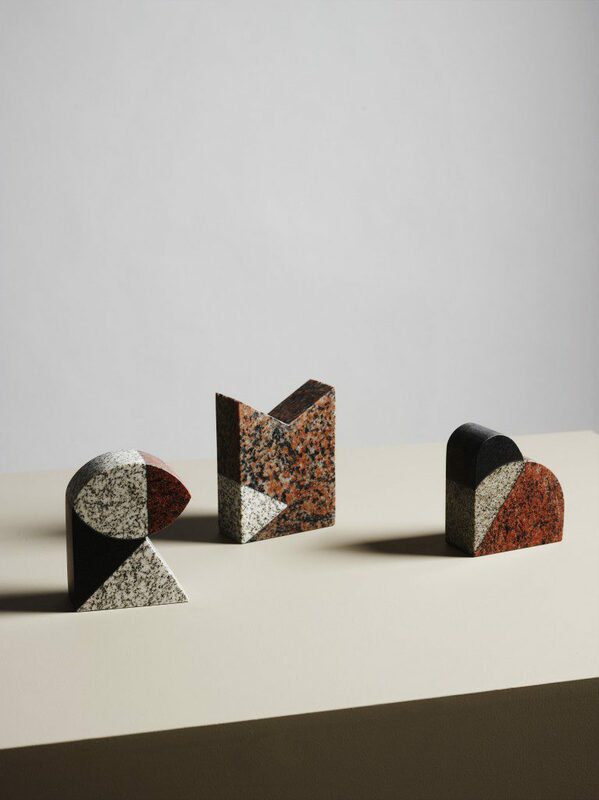 Made from Nordic rock, each one is inspired by a native animal – a fox, a puffin, a hedgehog and a bullfinch – and can be configured either figuratively or abstractly. And Kristine Bjaadal’s Hegne and August are containers designed for keeping “the treasured and the trivial” out of sight, but not out of mind. “I love using design to tell stories,” says Bjaadal. Hegne has a turned ash or walnut body with a domed ceramic lid, while August is the reverse – a porcelain vessel with a wooden lid. Icons of Norway is at Skandium’s Brompton Road store 4 – 15 February 2016 and all products will be available to purchase throughout the show. Scandia Junior, by Hans Bratterud. Photo: Kaja Bruskeland. Bunad-blanket, by Andreas Enesvik. Photo: Kaja Bruskeland. Krobo, by Torbjørn Adal. Photo: Kaja Bruskeland. Oval, by Einar Barnes. Photo: Photo: Kaja Bruskeland.